You’ve got the latest OLED TV, 3000 satellite TV channels, and a surround-sound system that would make George Lucas jealous. Why are you still using that 1980s-style hunk of handheld plastic to control it all? The clumsiness of navigating menus with a thumb-pad is matched only by the tedium of hunting and pecking letters on numeric buttons. Multiply that misery times the number of remotes you’re using for all your home theater components and it’s enough to make you wish for the simpler days of rabbit ears and horizontal hold. A far more elegant solution is to use your iPhone, iPad, or Android phone or tablet as a universal remote. With the right selections of apps—and, in some cases, an additional piece of hardware—you can manage all your home theater components from the one device that’s nearly always in your hands. Here’s how. Most Android smartphones have infrared emitters built right in. 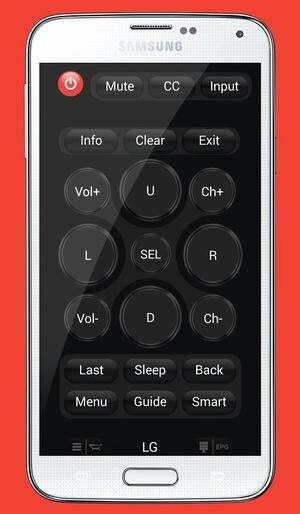 The simplest way to control your home theater from your mobile device is to use infrared. If you’ve purchased a flagship Android phone from Samsung, LG, or HTC in the last couple of years, it likely has a built-in IR blaster that can communicate directly with your home theater components, along with the manufacturer’s bundled remote control app. While these apps are worth trying out, a better bet is to download a third-party universal remote app such as IR Universal Remote or Galaxy Universal Remote. These apps support thousands of component manufacturers and models, many of which your device’s native remote control app probably doesn’t. If you have an older Android device without an integrated IR transmitter, you’ll need an adapter like the Irdroid. These modules range from a basic adapter that plugs into your device’s headphone jack to models that allow you to wirelessly control infrared components over your network. All you need to do is purchase one and download the Irdroid app. Because iOS devices don’t have IR blasters, an adapter is the only way to go if want to use infrared to control your home theater from an iPhone or iPad. The iRed works much like Irdroid—just plug the infrared transmitter into the headphone jack of your device, download the accompanying app, and add your components from a database of more than 300,000 devices. The developers of Peel—an app available for both the iOS and Android operating systems—ingeniously figured out a way to bypass the iPhone's and iPad's lack of an infrared blaster by using your Wi-Fi network to control your set-top box. If you have an older Android phone that doesn't have a built-in IR emitter, plug the Irdroid into your phone's headphone jack. If you don’t want the expense and hassle of adding hardware, you can rely solely on apps to get the job done. The downside is you’ll probably have to download a separate remote-control app for each component in your home theater system. The good news is they’re almost always free; you don’t need line-of-sight to your components to use them as they work over your Wi-Fi network; and because they are proprietary to each component manufacturer, they’re usually far less buggy than third-party apps. Sony , LG, and just about every other major TV manufacturer offers some kind of app to control its TVs. 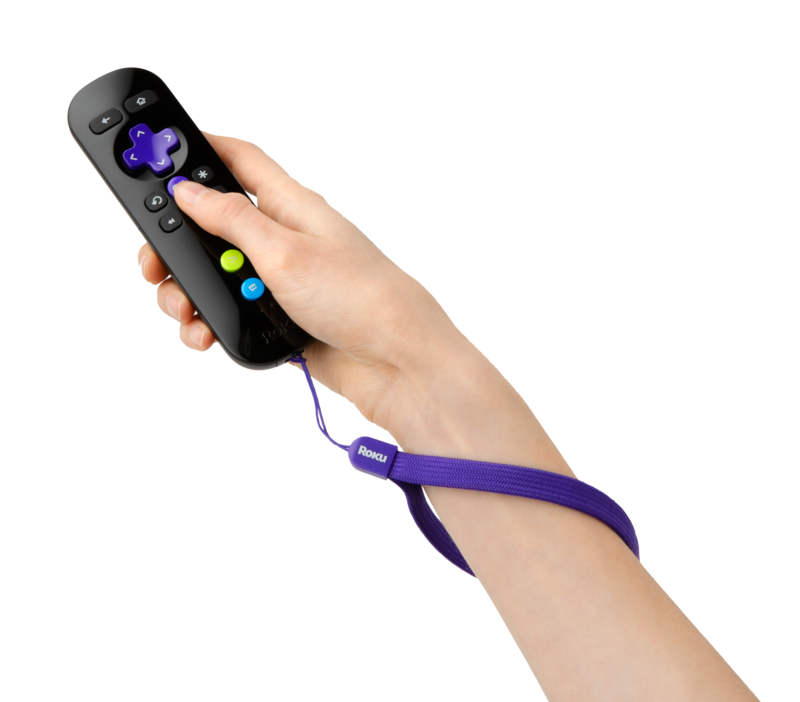 But these don’t just replicate the channel and volume controls of your plastic push-button remote; they’re also chock full of additional features like gesture functions, QWERTY keyboards, full settings menus, and other options for interfacing with your TV more quickly and easily. 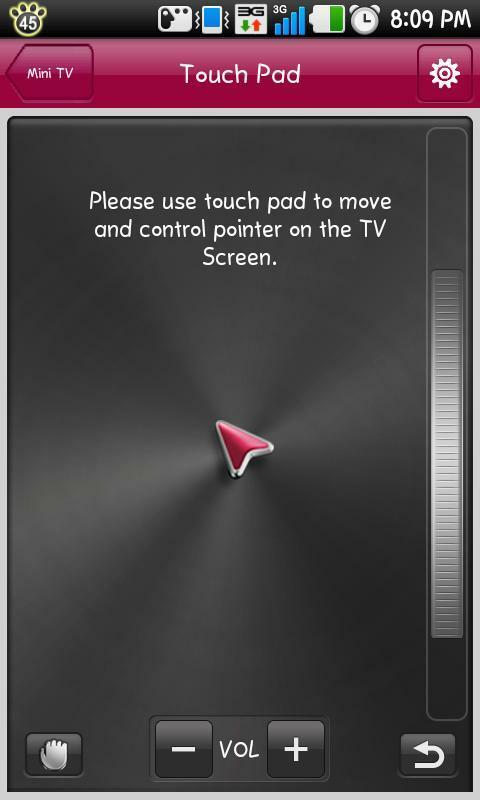 Some remote-control apps support gesture controls. Likewise, manufacturers’ apps for their Blu-ray players go beyond rudimentary controls and typically support gestures and text input. They also may display contextual information about the disc you’re viewing, including the release date, cast, cover art, and more. Depending on the manufacturer, it may offer separate apps for each product type with category specific features, or it may have one app that controls all its home-theater products. In the latter case, you may be able to double-dip and control two components with one app if you’re particularly loyal to a brand. Just make sure to double check that the apps you download support your TV and Blu-ray models. Popular brands including Yamaha, Denon, Onkyo, and Pioneer offer remote control apps for their networkable home theater receivers. These apps let you control your receiver’s power, volume, and inputs; adjust your system’s treble, bass, and other EQ settings; manage Internet radio services and audio streams from your DLNA servers and mobile devices; and more. As with TVs, many of the AV-receiver apps also do double (or triple) duty controlling other home theater products in that manufacturer’s line, so you may be able to stretch the value of one app. The physical remotes that come with popular streamers like Roku, Apple TV, and Amazon Fire TV are basically point-and-press devices. That’s fine for browsing through channel stores or movies on Netflix, but when you want to search for a specific title, you must painfully input text by arrowing through an on-screen alphabet and entering each letter. The remote for the Roku 3 supports gestures, too, but the lack of a keyboard makes searching for titles a tedious affair. The Roku mobile app, Apple’s Remote, and the Amazon Fire TV Remote App each provide all the functionality of their physical counterpart, with one critical advantage: they use your device’s keyboard making searching a far more pleasant and precise experience. The Amazon Fire TV remote app even includes voice search. That alone would be enough to recommend these apps, but they also support gestures for smoother navigating. You may also notice faster response time thanks to your device’s superior processor. All the major U.S. cable providers—Comcast (Xfinity), AT&T U-Verse, Cox TV, Time Warner Cable, Verizon, and Charter—offer proprietary apps that let you control your cable box, manage your DVR, remotely schedule recordings and easily search your programming guide using your phone’s keyboard and, in some cases, your voice. 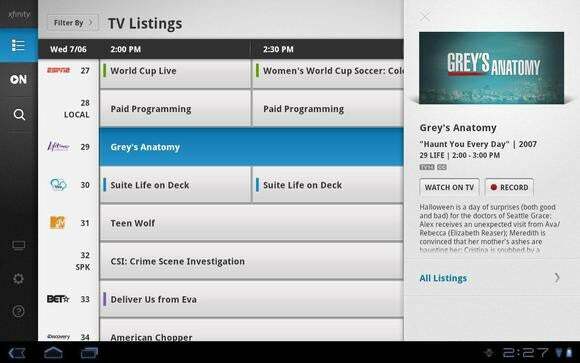 Most will also let you view live and on-demand programming on your phone or tablet, turning it into another TV. Most pay-TV providers have smartphone and tablet apps that let you stream right to those devices. If you’re a satellite subscriber, both DirectTV and Dish Networks offer apps with remote control and DVR management capabilities. And the DVR Remote for TIVO lets TIVO Series 3 or Premiere users control all recording and playback functions from their mobile device. Regardless of which mobile platform you’re using, there is a wealth of options for transforming it into a replacement for your remote. 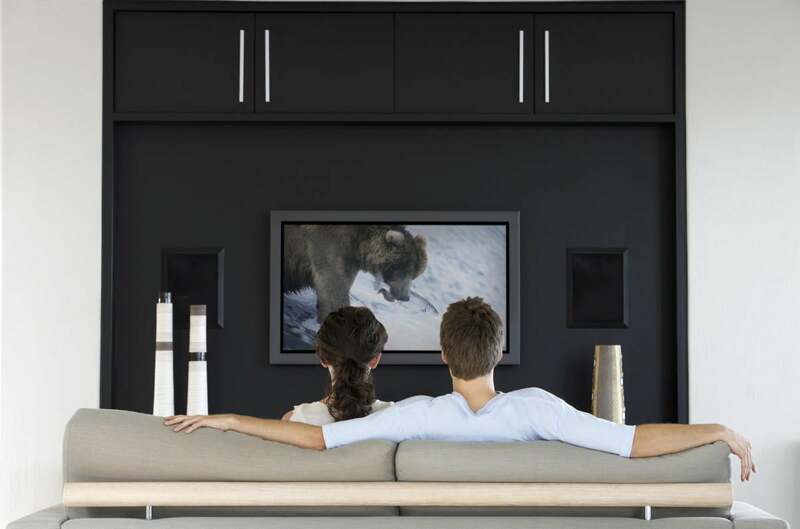 If you invest a little time in finding the right ones for your system, you’ll ultimately spend less time futzing with your home theater and more time enjoying it.